Young people involved in music in Europe today have much to offer the music sector, yet their voice is often not heard! This project seeks to give young people the know-how and confidence to make a stand for their needs and rights, whilst at the same time help the 'older generation' recognise the benefits of including young people in all aspects of an organisation's activity. IMC Member of Honour and former principal conductor of the London Symphony Orchestra Claudio Abbado, who has died at the age of 80, was one of the true giants of classical who was considered to be among the greatest of all conductors. For the implementation of our EU-funded project African Music Development Programme (AMDP), we are looking for a Project Manager on a part-time basis. The position is to be taken on March 15, 2014; it is initially limited until December 15, 2015 and renewable for one year until December 15, 2016. AMDP is a 3-year cooperation project (from December 2013 until December 2016), coordinated by the International Music Council, with a total of 11 partners in 9 countries. Please find the full job advertisement here. The application deadline is 15 February 2014. 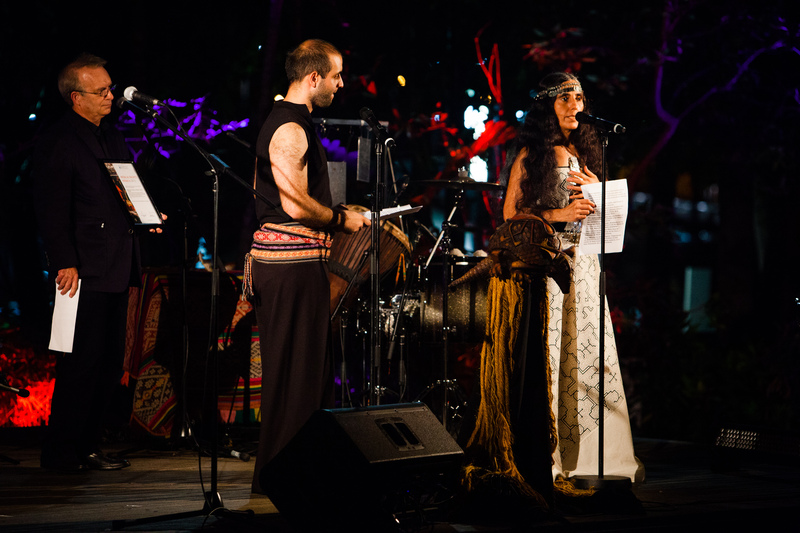 A “Picnic under the Stars” featuring musicians from Argentina, Australia and Tibet during the 5th IMC World Forum on Music held in Brisbane, 21-24 November 2013, offered the perfect setting for the ceremony of the IMC Five Music Rights Awards 2013. The recipients of this 3rd Awards edition were once again projects or programmes which had been recognised as having supported one or more of the five IMC Five Music Rights, in an exemplary way. 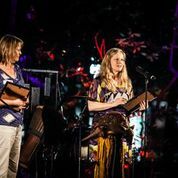 When presenting the award to Susana Ferreres, representing the Orchestra of Indigenous Instruments and New Technology (Argentina), IMC Executive Vice-President Gary Ingle underlined the “comprehensiveness and thoroughness of the programme, the vision it represents, and the endurance with which it has been implemented (…) [which] stands out as an excellent model for other music councils and national music organisations. As there are indigenous and traditional instruments in every culture, it stands out as an inspiring example for others.” The Orchestra was nominated for the Award by the Argentine National Music Council, whose representative Juan Pablo Nicoletti also received the certificate. For the project “Music and Resilience” for Palestinian refugees of Lebanon, Deborah Parker from project host Associazione Prima Materia (Italy) received the IMC Five Music Rights Award 2013 from the hands of Advisory Panel chair Einar Solbu, who reminded the audience that the project “aims to empower children and adolescents living under the most stressful and unworthy conditions in refugee camps. 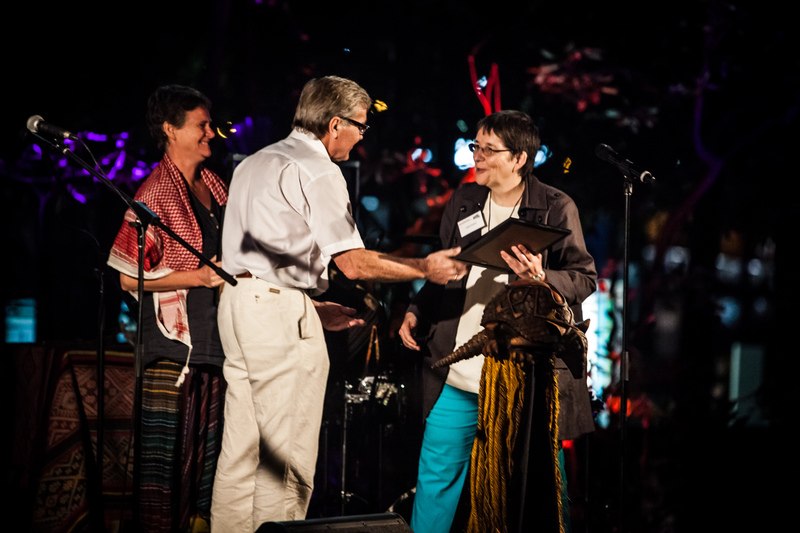 (...) Even if it has been in operation only a couple of years, [it has] already shown remarkable impact on the children and adolescence involved.” Sonja Greiner, Secretary General of the European Choral Association- Europa Cantat, received the certificate on behalf of nominating IMC member Moviment Coral Català. IMC Vice-President Hisham Sharaf presented the third Award to the programme “Remix the Orchestra”, represented by Lee Martelli, Education Manager of the Auckland Philharmonia Orchestra. Mr. Sharaf declared that “This programme sets the stage for artistic collaboration between at-risk young people, professional hip-hop artists and orchestra musicians (…) it is an excellent model which should inspire symphonic orchestras all over the world to find ways to communicate and interact with young people and hence make themselves relevant for new generations.” The programme was nominated by IMC member SOUNZ, the Center for New Zealand Music, represented at the ceremony by its director Julie Sperring. The Five Music Rights of the International Music Council as well as IMC's mission and objectives honour human and cultural rights as enunciated in the Universal Declaration of Human Rights and in other relevant international covenants propagated by the United Nations, UNESCO and equivalent organisations. The IMC is an international NGO in official partnership with UNESCO. Paris, 9 December 2013. - The 35th General Assembly of the International Music Council, held in Brisbane (Australia), 24-25 November 2013, adopted a series of key decisions that will pave the way to building greater capacity of the organization and its members to work towards its vision to be the world's leading professional organization dedicated to promotion of the value of music in the lives of all people. Brisbane, 25 November 2013. – Mr. Paul Dujardin (Belgium) was today elected President of the International Music Council for a renewable mandate of two years. Mr. Dujardin replaces Mr. Frans de Ruiter from The Netherlands, who had served as president of the organisation since October 2009. 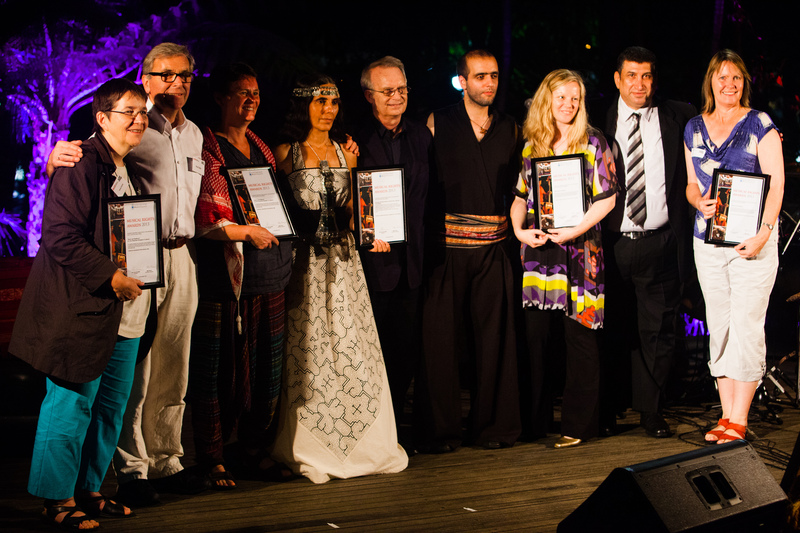 Three programmes from the Arab region, Latin America and Oceania will receive the 2013 Musical Rights Awards, presented by the International Music Council, an international NGO in official partnership with UNESCO. In the frame of the EMC's 40+10 anniversary, the EMC hosted the John Lennon Educational Tour Bus at its office in Bonn, Germany. The John Lennon Educational Tour Bus is a state-of-the-art audio and HD video recording and production facility. Plans for Lennon Bus Europe have been evolving since the first U.S. Lennon Bus hit the road in 1998 with a mission to provide young people with access to state of the art production studios. Staffed by a crew of three producer/engineers, the Bus is dedicated to providing the young people of Europe with free hands-on opportunities to produce original music, video, photo, game app and broadcast projects reflective of their ideas, values, and creativity. All projects created on board can be viewed at lennonbus.org, YouTube, and Facebook. The student recording sessions took place on Monday, September 30th with the Realschule Bonn-Beuel and on Tuesday, October 1st with the Münsterschule Bonn. The International Music Council has learned with great sorrow about the death of the President of the Arab Academy of Music (League of Arab States), Dr. Ratiba Al-Hefny, on Monday 16 September 2013 following a lengthy illness. We publish below the obituary received from AAM Secretary General Kifah Fakhouri. Dr. Al-Hefny will be remembered as a pioneer in the contemporary musical movement of the Arab region. She presided the Arab Academy of Music (AAM) since 1997 and was the first female to hold this prestigious position. In 1993, she joined the Executive Board of the AAM as representative of Egypt and remained until her death. Her musical career was full of action, creativity, and initiatives. Among the numerous positions she held was the post of Artistic Advisor to the President of Cairo Opera House and the Secretary General and Rapporteur of the annual Arab Music Conference and Festival which she established in 1992. In spite of her severe illness , she successfully organized the last Arab Music Conference and Festival, November 2012. In 1988, she was appointed as the first President of the new Cairo Opera House and stayed in this post until retirement. Before that, she was the Dean of the Egyptian Higher Institute of Arab Music and the Artistic President of the Egyptian Music and Opera House. She took as well a major role in the establishment of the Higher Institute of Musical Arts in Kuwait. Music circles in Egypt and abroad knew Dr. Al-Hefny as the founder of the first children choir in Egypt . She also established Umm Kulthum Ensemble for Arab Music and Al-Hefny Centre for Musical Studies in memory of her father, Dr. Mahmoud Al-Hefny, the first Arab musicologist. Furthermore, Dr. Ratiba Al-Hefny was known as a renowned soprano opera singer with a long list of opera appearances in Egypt and worldwide. As a first class media figure, Arab TV viewers knew her through her weekly TV program "With Arab Music" which ran non-top for 22 years. Dr. Al-Hefny studied opera singing at Munich College of Music and Theatre and Choral Conducting and Vocal Pedagogy in Augsburg College . She completed her post graduate work in Folk Music at Humboldt University. As an author and music researcher, she left behind quite a number of notable publications. Few years ago, Egypt honored her by giving her the State Award. Surely, her death will be a great loss to all those who knew her.